Do you remember this photo from a couple of weeks ago? 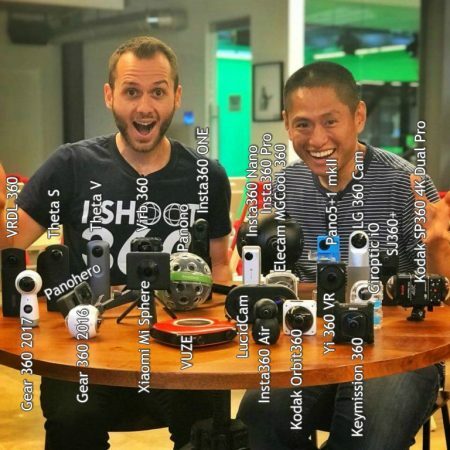 There was a contest on who could identify all the cameras and here are the results! John Sklba identified 22 cameras. Bruno Margetic identified 20 cameras. 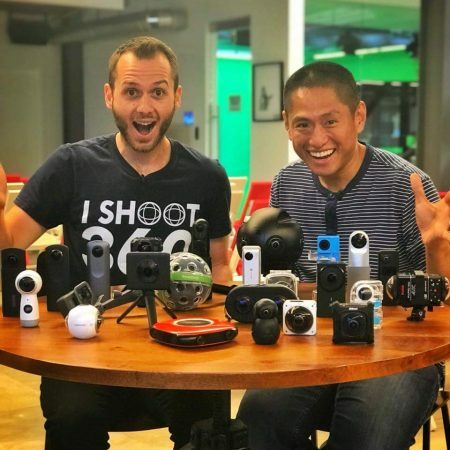 The two cameras that no one identified were the Panohero and SJ360+. 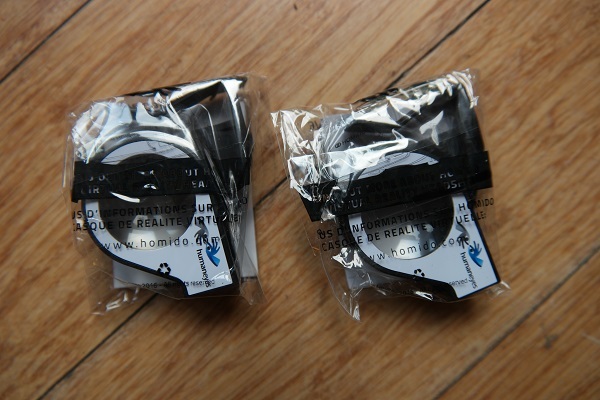 😀 Bruno’s total was pretty close to John’s so I will be sending both of them a pair of foldable Homido VR glasses, courtesy of Humaneyes (makers of Vuze). Congratulations John and Bruno! Thanks to everyone for participating!